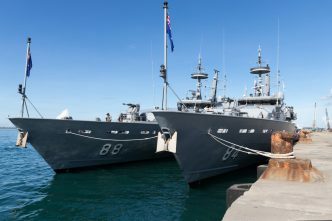 The ANAO report Naval construction programs—mobilisation released on 14 May is a worthy attempt to summarise the issues that must be addressed as Australia ramps up its huge acquisition program for offshore patrol vessels, frigates and submarines. However, it falls way short of the mark—not for lack of trying but because it hasn’t taken into account the key driver of why we’re even having the discussion. 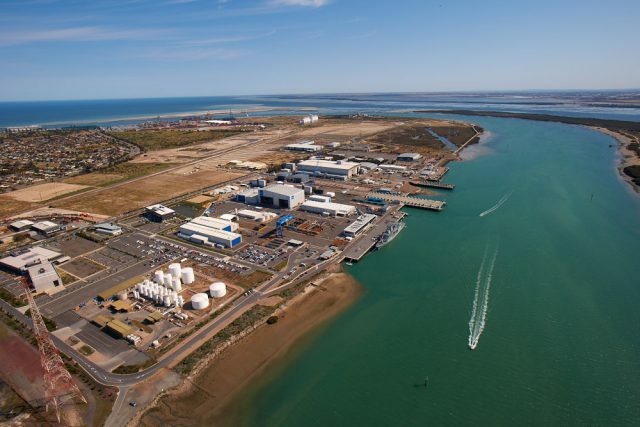 The central issue it misses is that the government has to be involved in things such as workforce planning—even shipyard design—because it chooses to retain ownership of the business at the heart of it all, namely ASC. In most other countries, including the US, Britain, Germany and Sweden, these matters would largely be for the private sector to manage, with the politicians and bureaucrats staying well clear. ASC started life as a private-sector consortium, which went through a number of shareholder changes after being created in 1987. 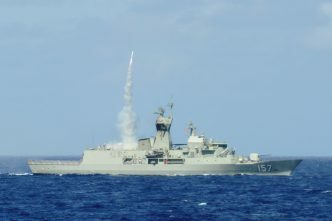 The big one occurred when John Howard’s Coalition government decided to nationalise it in 2000, kicking out the Swedish designer of the Collins class through the use of FIRB rules. From that day on, ASC has legally been owned by whoever is the finance minister. Tanner’s case was that for naval shipbuilding, the private sector has been shown to be at least 10% more efficient than government-owed dockyards. For him, the attraction wasn’t the pittance to be gained from the sale of ASC—it was the huge savings the nation would make on future contracts, just like the $89 billion worth we are now looking at. 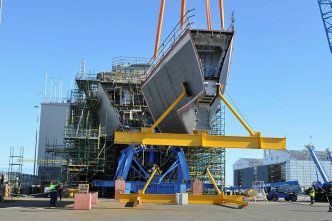 Government involvement in naval shipbuilding unfortunately didn’t end there—and the alliance contracting format for three air warfare destroyers (AWDs) saw the Department of Finance–owned ASC teamed with the customer—the Department of Defence—with each forming one-third of this new entity. Effectively, the government was contracting with itself to deliver a commercial outcome. The consequences have been extraordinarily costly including the serially delayed AWDs and a submarine fleet that, on a per boat basis, is easily the most expensive in the world to maintain. Back to the ANAO report—it’s tinkering at the very margins of the problem. Yes, it has highlighted the level of risk involved in the future frigates. But even in this it’s misguided, nominating the integration of the Aegis element of the combat system as high risk—which it isn’t—while largely ignoring the inherently greater complexity and dangers of the future submarine project. However the Department (read: the government) has already replied, saying that revitalising the naval sector is a nation-building exercise, and therefore it’s necessary to throw vast amounts of money at it without much accountability because the end justifies the means. At least the frigates are based on platforms that are either at sea or, in the case of the British contender, under construction. SEA 1000 has years to go before it reaches a similar level of maturity. What should have happened was the construction of a fleet of new generation Collins-class submarines by a privatised ASC. That is the approach that has been taken by every other nation wishing to develop a submarine enterprise: use the experience and knowledge gained on the first ones to move on to a new class. As the Royal Navy’s Trafalgar and Swiftsure classes led to Astute, the US Navy’s Los Angeles and Seawolf classes led to Virginia, and from Japan’s Soryu came Oyashio—Australia should have done exactly the same. Australia doesn’t need to build a submarine enterprise from scratch because we already have one. No political party has shown any interest in renationalising the aerospace sector after the Government Aircraft Factories were flogged off in the 1980s. No one in their right mind would wish to renationalise the military land sector, which was first transformed into Australian Defence Industries and then sold to Thales in 1999. But here we are in 2018, with government ownership of the key part of the naval sector an unchallenged fact of life. As for the argument put to Kevin Rudd that the Americans wouldn’t like it—what other sovereign nation would cave in to the imaginary pressure exerted by another country into the structure of its defence industry? And as for the US not being prepared to release sensitive technology—that nonsense argument is quickly dealt with by looking at another close ally, the UK. Their defence companies have no difficulty getting access to the most sensitive technologies and, besides, they’re listed on the stock exchange, not run by a bunch of Whitehall bureaucrats. Kym Bergmann is the editor of Asia-Pacific Defence Reporter and Defence Review Asia, and worked for Saab from 1998–2005. 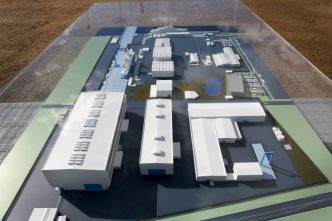 Image courtesy ASC Pty Ltd.